What is the Doberman puppy price in different countries? Dog prices contradict any laws of trade economics. In a healthy economy – a quality product costs higher, a substandard product costs noticeably cheaper. 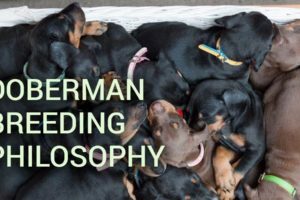 In a dog world the doberman puppy price is almost always contradicts the quality – if you consider health and longevity as a top indicator of quality. It is common for mass producing breeders to charge higher price and take advantage of buyers from economically advanced countries. I’ve seen breeders from Russia (and neighboring countries) and Serbia selling dogs on Facebook and Instagram for $2,500 – $4,000 (with shipping) to the US and Canada. When we look at these litters closely – only verbal health test results, declining longevity, high inbreeding, aggressive heredity for genetic diseases, and never disclosed cause of death of close relatives. Is that what we want to call a quality product that’s worth the top dollar? But breeders who truly breed for health and longevity, test their dogs on all known hereditary diseases, publicly disclose health results for all the dogs born in the kennel, and have may be 1-2 litters per year – struggle to find buyers. And this is the core problem we have in the breed. Health and longevity has to be the top criteria for selecting a quality puppy (read our How to find a breeder in Europe article for the full list of criteria). 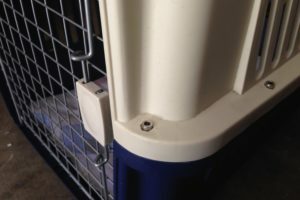 If you are new to the Doberman community or not as exposed to the insider’s information – there is no way for you to figure out which breeder to trust, and which litter to choose. Making a purchasing decision based on how nice the breeder is in online correspondence – is a proven-by-t00-many path to struggle. So, I’ve decided to unite efforts with honest Doberman enthusiasts worldwide and create lists of breeders and litters that we would recommend. 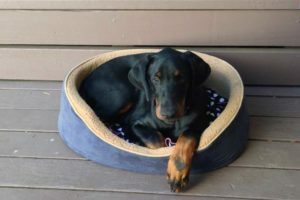 We’ve published a Puppy for sale page to promote Doberman litters that aim to improve health and longevity. And we invite everyone who is willing to comply with established criteria (will be posted later) to collaborate with us. 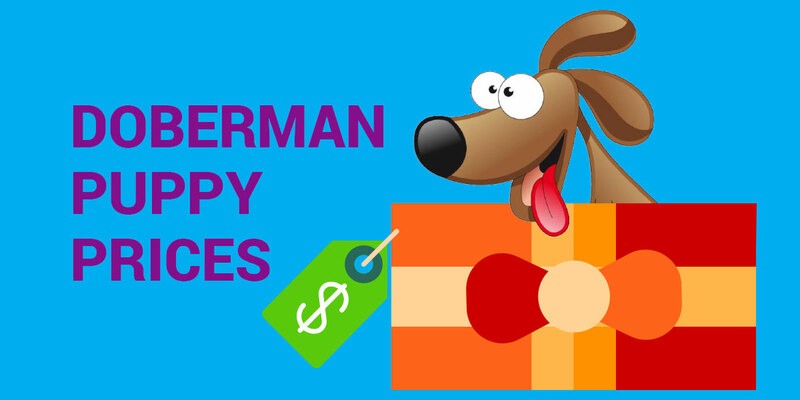 Data below was collected with the help of many Dobermann enthusiasts worldwide, who helped us collect statistics from the Kennel clubs and shared with us Doberman puppy price. Amount of registered puppies per year was collected based on official kennel club publications (either online or printed). *TABLE FOOTNOTE: Some kennel clubs issue annual reports, where they publish amount of puppies registered per year. Used data is from such resources. However, Kennel Clubs don’t regulate prices. Presented data is a ballpark number provided by breeders from various countries and should be only referred to as “common knowledge”. If you can contribute reliable data for missing countries, please, contact us.